What do they say about colds? They last a week if you treat them and seven days if you don't...well that's about right. I finally feel almost normal - it will be a week on Saturday since this one started. So I got out of the house at last and did a few errands. I even got to stop by my local stamp store (I'll show you what I got there in a day or two). 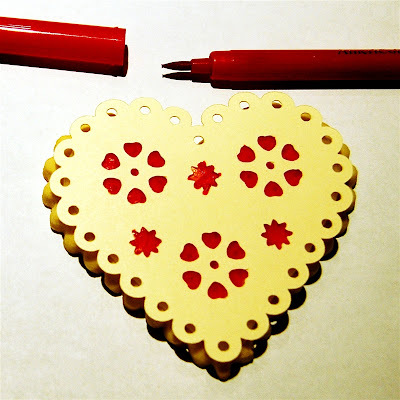 There were lots of Valentine's things to see and a few followed me home! A few years ago I made these cookies. I am not a cake or cookie decorator but I was pretty pleased with the way they turned out for a beginner. I used some designs from the Martha Stewart Seasonal and Elegant Cake Cricut cartridges and made stencil templates and food markers to decorate the cookies. You can read the post with more detailed directions and photos HERE. 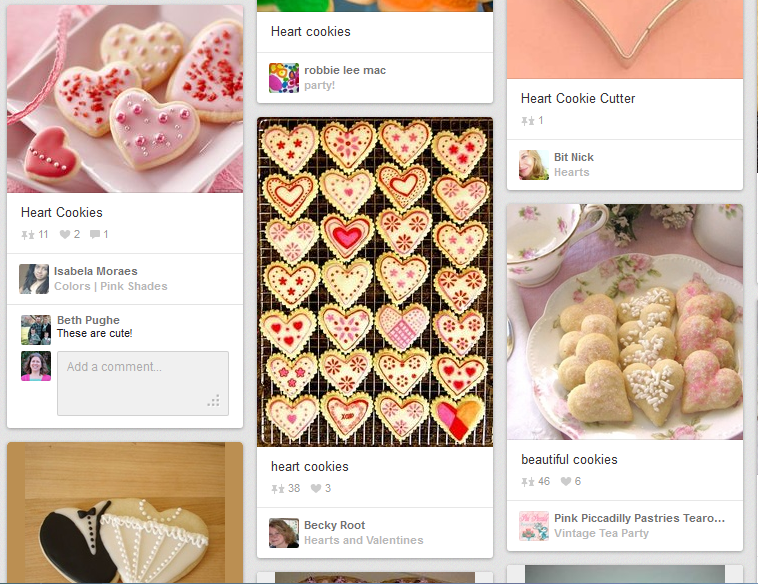 I remember that this was when I first heard about Pinterest. 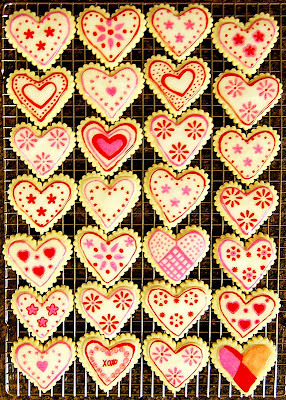 A woman named Carly who lived in England wrote to me to ask if she could share a photo of the cookies on her blog - and told me she had seen them on Pinterest (this was in January, 2011). 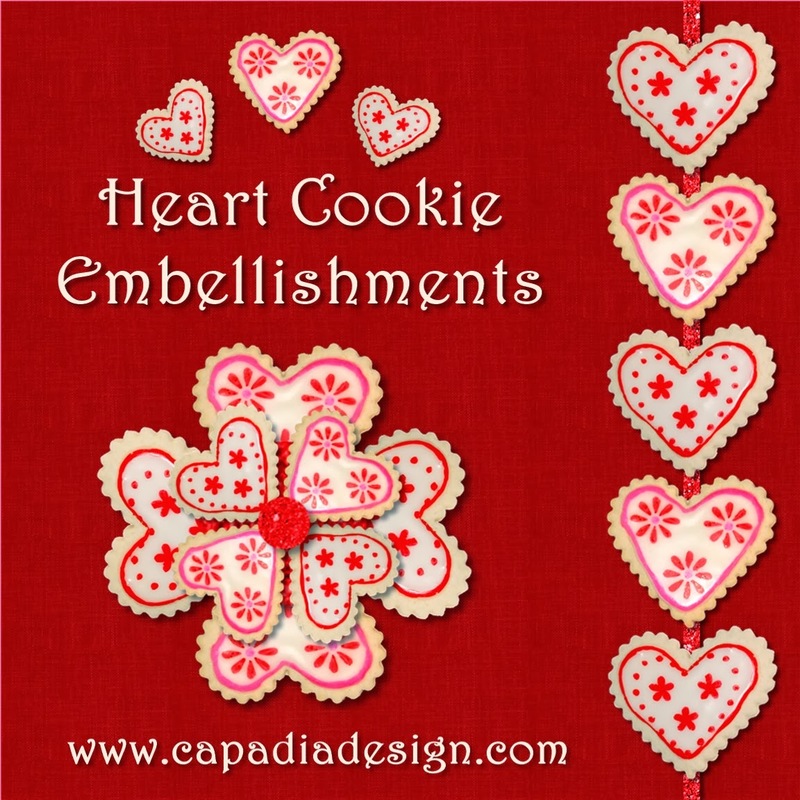 I just searched "heart cookies" and found my photo still shows up, along with truly amazing heart cookies that make mine look like a kindergarten project! I like to use things I make as digital elements for projects - it makes the page even more personal when the embellishments are your own images. I use the Panstoria Artisan software (formerly known as StoryBook Creator sold by Creative Memories) to create the .png files from my own photos. 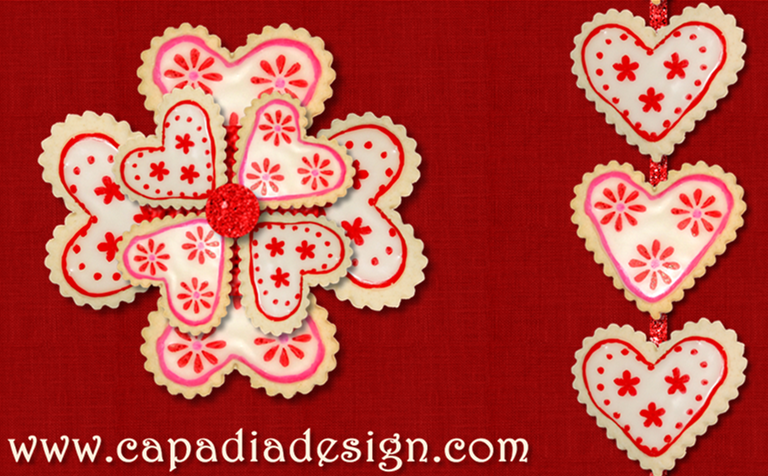 Once you create the file you can use it over and over again and create new embellishments, like this "cookie flower" I made with the heart cookies. I really enjoy using the Artisan software. I think it is much easier to learn than Photoshop and it is also less expensive. Panstoria developed the software and licensed it to Creative Memories and when Creative Memories went through their second bankruptcy reorganization and discontinued the digital business, it was a great relief that Panstoria decided to sell the program directly. I am no longer a Creative Memories consultant but I am an affiliate for Panstoria and I do appreciate your support if you use my link (click HERE or on the program name in the left column of the blog) to purchase software and digital content. I am making my lists of videos and tutorials to do this year and if you would like me to show exactly how to create a digital element from a photo in a video please let me know in a comment or by e-mail. I think you will find it to be fun and easy to do and it makes your projects unique and special when you do this.